LMLS-400 and LMLS-500 daylighting sensors for switching or dimming applications feature a wireless configuration tool. The LMLS-400 also features automatic commissioning; the single-zone closed loop photosensor can be installed on a ceiling or in a lighting fixture. 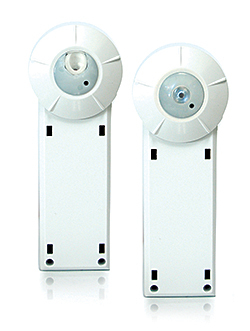 The LMLS-500 multizone open loop photosensor can mount on a ceiling or in the light well of a skylight, and control up to three lighting zones.